19 channels will be removed from the Foxtel Play streaming platform next month. “Sadly, we’ll be saying goodbye to some services from Foxtel Play but the good news is, they’ll still be available through our broadcast service. It’s not clear why the channels are going. 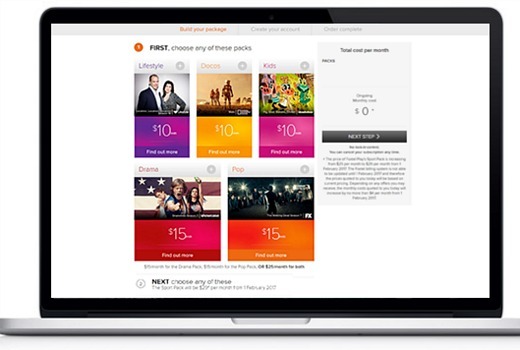 Entry point pricing, which has been $10 a month for select packages, is not changing. Foxtel Play allows viewers to stream select channels without having to fork out for a full in-home installation. For some time there has been speculation of an overhauling of Foxtel branding, expected to be renamed Foxtel Now. In February TV Tonight asked Executive Director of TV Brian Walsh if the company had too many confusing products. “It’s on our agenda to clean up all the branding. I think it’s very intuitive of you to pick that. There are far too many sub-brands,” he said. “People don’t know the difference between Foxtel Go, Foxtel Play, Anytime, On Demand. Even from a technology perspective our remote controls have different things on them. Foxtel says programs on BoxSets and Binge will remain available via its on demand service in various packs on Foxtel Play. A Foxtel spokesperson told TV Tonight the move reflects more people watching on demand. “Periodically we make changes to our proposition in our push to give customers more of the content they want, delivered how they want to watch it. It seems obvious to me that Foxtel have tried to value add it’s brand and compete with Stan and later Netflix, streaming the same content at a cheaper price, this indicates some recognition of the demise of Cable TV as is happening in America right now. I’m not sure how Foxtel can restructure it’s way out of this commercial problem especially if News Corp will buy Telstra’s 50% share in the company. Mr Murdoch may have to start his own version of Netflix called FoxGlobal and FoxSports streamed from the UK and America in HD and UHD (4K). Then in 6 months time they’ll raise the price by $1 claiming that they are giving people more by adding BoxSets to the package as well, it’s George Orwell’s 1984 Chocolate ration scenario. Hah, they certainly have form in that regard. 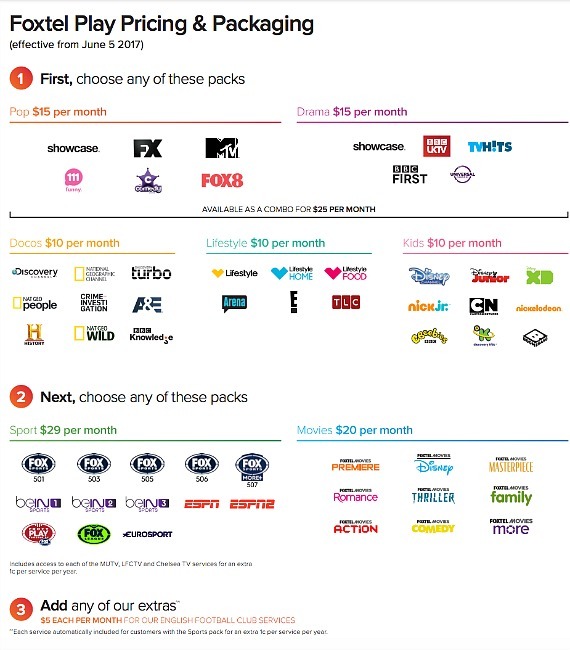 Compare what they give you for $10/mth with what Netflix offer. Foxtel is another dinosaur that doesn’t understand the internet, so it tries to force people to keep spending over the mark to consume content the only way that Foxtel know how to deliver it. Yep and the “to give customers more of the content they want,” line makes me laugh. Interesting that they remove BBC World, CNN and CNBC, leaving your only news sources as Sky News and Fox News. Agenda? Does this also mean the channels are going to be removed from Foxtel Go (the streaming catch up service for those with cable/satellite) too? That’s like Domino’s announcing that their pizza with hardly any topping will now be sold for the same price with the two slices with the most topping taken out. Foxtel are already bleeding customers and now they’re opening up the vein a little more. Foxtel do have a point about the mish-mash of Foxtel Play & Foxtel Anytime (& what are essentially its sub-brands, Foxtel Go & Foxtel On Demand). But yeah, when your churn rate is something like 10x~20x your growth rate you’ve got a problem – you’re relying on new customers coming in just to stand still. Wow, that would be a complete deal breaker if I had that. They’ll lose a lot of customers from this decision. Ideas: 1. 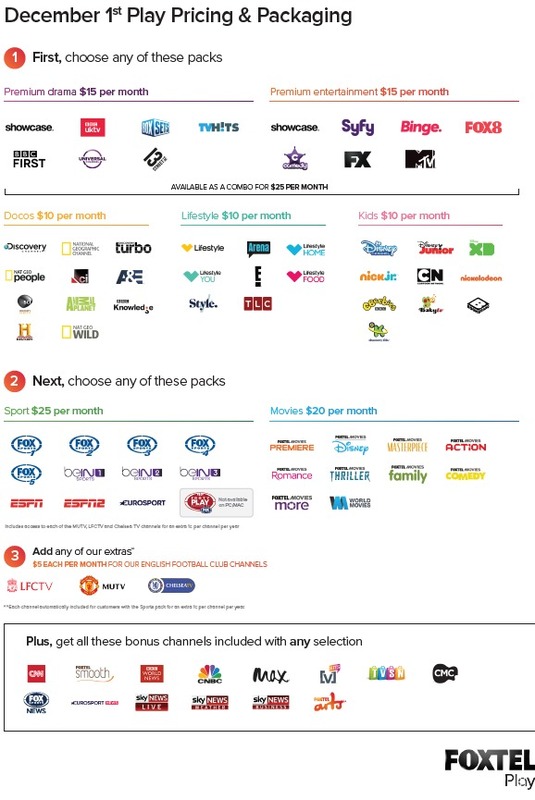 The new pricing on play is so good that it’s doing better than the cable/satellite service. 2. They are going to lower the package prices and make a couple more packs. 3. Unable to have online channels due to rights changing. 4. Channels will go to a HD pack at a higher price. 5. Foxtel being greedy. Also the free use of the hayu app finishes next week as well.